A literary and cultural historian, Sander Gilman is Distinguished Professor of the Liberal Arts and Sciences at Emory University and the author or editor of over eighty books. His Fat: A Cultural History of Obesity appeared in 2008; his most recent edited volume, Race and Contemporary Medicine: Biological Facts and Fictions, was published in the same year. He is the author of the basic study of the visual stereotyping of the mentally ill, Seeing the Insane. 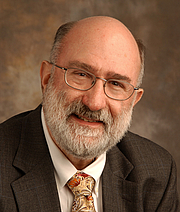 Sander L. Gilman is currently considered a "single author." If one or more works are by a distinct, homonymous authors, go ahead and split the author. Sander L. Gilman is composed of 7 names. You can examine and separate out names.